We have been tracking our net worth for over 2 years now. And almost every single time we report our numbers … we see our total net worth grow. Now once again … for the 6th consecutive month (starting in January of this year) … we have grown our net worth. Overall, our net worth has grown by 26.5% since our first report back in March, 2015! That is an increase of over $115,000 in just 2+ years. It is an awesome feeling knowing we are growing our net worth by thousands and thousands of dollars every single year! So how did we do this June? 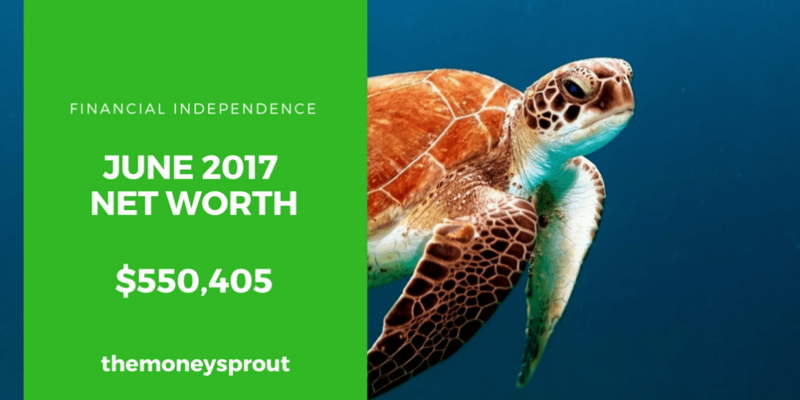 As of June 23rd, 2017 – our net worth is $550,405.13! Here is our most recent update, compared to our last net worth post in May. Our net worth in June 2017 increased by a slight .55% compared to May (2017). That is an increase of just over $3,000 in 1 month. This month, the the majority of the increase was from our investments … which has been very common lately. In addition to investment increases, we were able to decrease our liabilities ever so slightly, which is just as important as growing our assets. Once again, investment increases made up the majority of our overall net worth increase last month. We have been investing a lot of new money over the past 9 months and are starting to see these assets grow … and generate income on it’s own. The value of our investments rose by 0.89%. Over the past several months we have been doing a better job building up our cash balance. We haven’t seen a drop in home value in quite sometime. No big deal really. I don’t put a lot of emphasis into these estimates when they go up … or down. They are just estimates and we will see increases and decreases month to month. Overall, 2 out of our 3 assets saw increases, with only our home value falling last month. Investments really helped to push our net worth higher this past month. Total assets rose by 0.37% since last reporting. Note – every month our principal payments on our mortgage get a little bit higher. As far as our other “family car”, we have a very low rate and are on year #5 of the loan. We refer to this as “car loan #1”. Since our rate is 1.56%, we haven’t paid too much extra on it. This past month we had several large payments due … car insurance was one of the biggest. We charge all of these expenses and that has resulted in our short term credit card debt to rise. No worries though … we will pay off the entire balance next month. We also saw a drop in our car loan debt, but saw a bump in our credit card spending. Collectively our total liabilities dropped by over $150 … which isn’t great … but a decrease just the same. I never like to see our liabilities increase. Over the last month, we have lowered our liabilities … which is a good thing … despite it being just over $100. 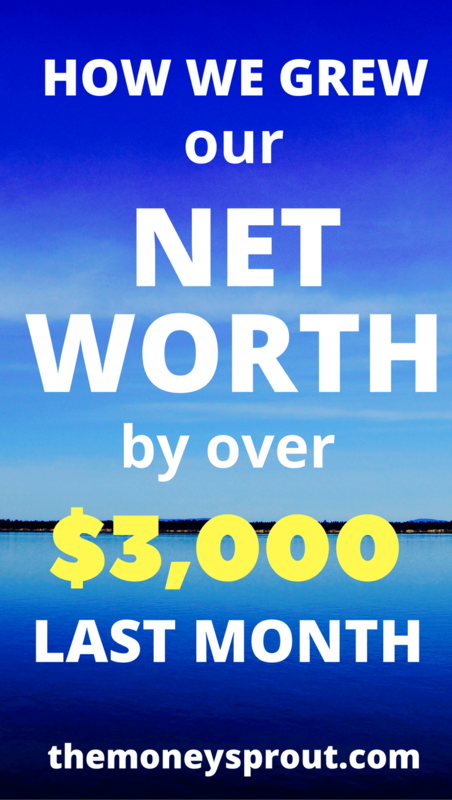 As I like to point out every time we talk about net worth … there are 2 sides to the equation. So a decrease in liabilities by ~$150+ is just as important as increasing our assets by the same amount. After reviewing our net worth number for this June, most of our gains came from investments. However, that doesn’t really tell the whole story. We were able to lower our liabilities by over $150 which helps just as much as increasing our assets by the same amount.